My husband loves me. He loves me a lot. He loves me enough to start laughing and say yes when I ask him if he minds if I do this post. This is only hearing the concept and not having seen the damage it may do to his poor ego. He knows full well that I would have posted it anyway, but it's nice to have his blessing. He needed a new headshot for his LinkedIn profile. And since, well, his jobby job the one supporting my shopping addiction habit hobby, I thought it best to make it a good one. These, my dear friends, are the ones he should NOT use. I can't state this enough Love, DO NOT under any circumstances use any of these. LinkedIn? I think not. 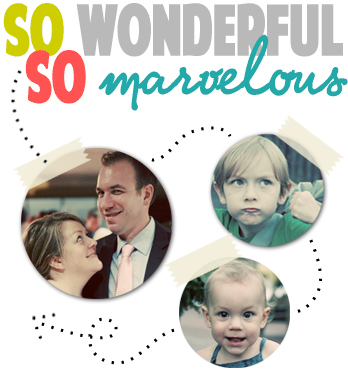 So Wonderful, So Marvelous for your wife's personal amusement? Oh yeah. And Dude, where's your face? Your shirt is there, your face inexplicably missing. Um and what is up with the mug shot/two fingers on the chin pic??? Yep ladies, he's all mine for the next 60 years. Oh I don't know the faceless one is pretty cool. Very Matrix. Aren't you a lucky gal! And didn't his mother ever tell him his face will stick that way? What can I say, I'm a glutton for punishment. Chicken Gyros & Tzatziki - It's all Greek to me. WFMW: Finally figuring out Google Reader! Have a blog? Want to do something?